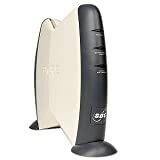 2Wire Home Portal 1000HG USB/Ethernet External DSL Modem with 802.11b/g Wi-Fi by 2Wire (Electronics) ~ High performance DSL Modem / Wi-Fi compatible wireless 802.11g and 802.11b networking. Built-in professional grade firewall / Connect using USB or Ethernet port. Supports HomePNA 2.0 and 1.0 / Encrypt your wireless network with 128 bit WEP. Front Panel Features: Power LED, Broadband Link LED, Local Network LED. Regulatory Approvals: FCC, CE, UL. 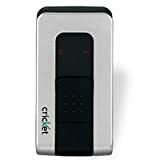 Cricket UM100C Mobile Broadband Tri-Brand USB Modem by Cricket (Electronics) ~ High-speed, Wide-area Wireless Connectivity. Technology: CDMA, Wireless Network Compatible. 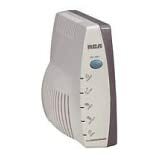 RCA Digital Cable Modem (DCM245R) by RCA (Electronics) ~ Offers always-on, ''ready-when-you-are'' unlimited Internet access to online multimedia services. Supports BPI+ communications privacy to support secure data exchange between modems and cable operator service. A single DCM245R modem can support up to 32 computers via the 10Base-T or 100Base-T Ethernet connection (additional equipment is required). 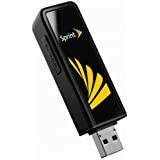 Sprint aircard 595U NO contract by Sprint (Electronics) ~ Transfer wireless data at max speeds of 3.1 Mbs downlink and 1.8 Mbps uplink, on the latest EV-DO Rev A networks. High performance internal antenna for measurable improvements in data speed, signal acquisition and retention. Dual-band, 800 and 1900 MHz support with Receive diversity. Built-in GPS antenna design to support mobile operator Location Based Services for most accurate and fastest time to signal fix. 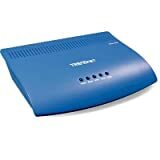 Supported OS: Windows® Vista, XP, 2000, and Mac OS X.
TRENDnet ADSL Fast Ethernet/USB Combination Modem Router by TRENDnet (Electronics) ~ The TDM-C400 is ADSL/ADSL2+ customer premise equipment that provides high-speed asymmetrical data transmission on a single twisted copper pair. The DSL line interface supports various ADSL standards, up to ADSL2+. 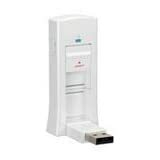 At the DTE side these CPEs provide, dual interfaces, a 10/100 Ethernet interface and one USB port for easy connection to users PC or LAN environment. TDM-C400 delivers broadband access for enterprises, telecommuters, home, and remote office workers with high-speed data transfer requirements. 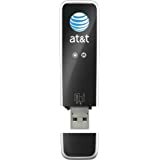 UTStarcom UM175 USB Modem by UTStarcom (Electronics) ~ The UTStarcom UM175 USB Modem for Verizon Wireless is a convenient and flexible data card for use with PC or Mac USB 2.0 ports. The UM175 is small, slim, and compatible with almost any computer; if you have a USB port, this card will help you get online from anywhere with download speeds of up to 2.4 Mbps and upload speeds of 153 Kbps. Simple to use, the UTStarcom UM175 USB Modem lets you surf the Web, send and receive email, and connect to your company's remote network. 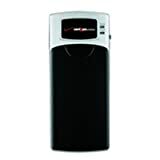 Verizon USB720 High-Speed Wireless Modem by Verizon (Electronics) ~ Broadband Access and National Access high-speed wireless data access NO LONG-TERM CONTRACT TO SIGN! Compatible with all devices supporting the Type A USB interface including desktops, notebooks, tablet PCs and PDAs. High performance, flip-up antenna for increased speed and coverage. Typical download of speeds of 450-800 kbps and upload speeds of 300-400 kbps. 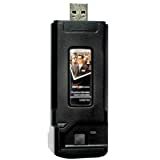 Vonage V-Phone with 250MB USB Flash Drive by Vonage (Electronics) ~ Get a phone that fits on your keychain! The Vonage V-Phone turns any PC or laptop into a fully functional Vonage telephone. The Vonage V-Phone includes everything you need to make and receive calls with a high-speed Internet connection. The Vonage V-Phone comes with Vonage Talk software pre-loaded - there's no need to install it on your PC and no need to restart your computer. Simply insert the Vonage V-Phone into any available USB port, plug the earpiece microphone into the side of the Vonage V-Phone and you're ready to make and receive calls! Remove the drive when you're done and the phone and all your important contact information goes with you. Vonage V-Phone is a fun, intuitive on-screen telephone that can make and receive calls. And because it's Vonage, you get to enjoy extra features like Caller ID, Call Waiting, Call Forwarding, etc. - included at no extra charge! 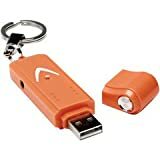 A great solution for people on the go, the Vonage V-Phone fits on your keychain and can be used anywhere there's a high-speed Internet connection! Imagine the savings of making calls from your hotel, an Internet cafe? - you name it! It's powered through your PC so there are no batteries to replace. 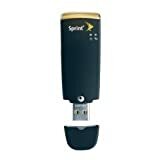 Franklin U680 EVDO USB Modem (Sprint) by Franklin (Wireless Phones)~ The U680 modem is optimized for Sprint's Evolution-Data Optimized (EV-DO) Revolution A (Rev. A) network, which provides average download speeds of 600 kilobits per second (kbps) to 1.4 megabits and average upload speeds of 350 to 500 kbps. When connecting within a Rev. A coverage area, the U680 can download a 1 MB email attachment in about 8 seconds and upload the same-sized file in less than 13 seconds. 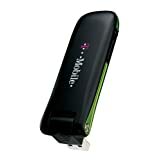 T-Mobile webConnect 3G Laptop USB Modem (T-Mobile) by T-Mobile (Wireless Phones) ~ Keep your laptop connected while roaming about town and across the country with the T-Mobile webConnect 3G Laptop USB Modem, which runs on T-Mobile's 3G cellular broadband network as well as offers unlimited access to T-Mobile HotSpot Wi-Fi networks--found across the country in hotels, book stores, FedEx Office locations, and more. 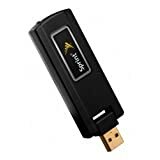 The USB stick modem offers plug-and-play convenience and has a handy connector that swivels into the stick for protection when not in use. It also doubles as a USB thumb drive, with a MicroSD memory card slot that's compatible with optional cards up to 8 GB in size.